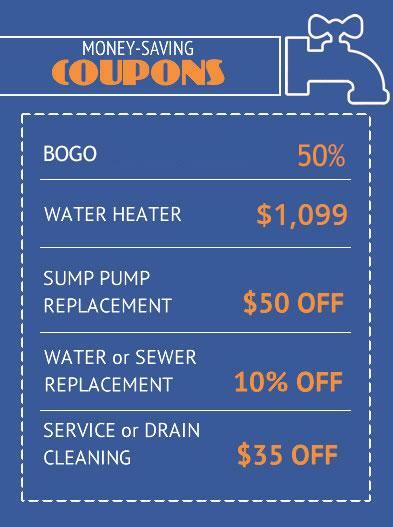 Bundle your plumbing needs for HUGE savings! Performing multiple tasks during the same visit saves Abbott’s Plumbing money and we pass those savings on to you! Whenever you add a secondary task to your primary service call you receive half off the secondary task. Our licensed plumbers carry detailed price books with just about every plumbing task imaginable inside. Don’t let those plumbing problems wait! Call us today at 410-536-5700. Primary task is defined as the most expensive task. Secondary task is defined as priced less than the primary task. Not all pricing is available in the price book. Cannot be combined with any other offers or coupons. Have a leak, a clogged drain or any plumbing problem that needs plumbing service?